I used this in classes at FDR for many years, in cooperative learning groups (reader, writer, spelling-grammar checker, reporter, and time-keeper) and the children really felt how difficult it was for oppressed families to just live. Instead of the typical crap about pulling oneself up by one’s bootstraps, students discover that oppression is real; We parents and teachers have to teach our kids the truth at home if schools won't do it. Thousands of textile workers in Haiti have stopped work in factories and taken to the streets to demand of improved working conditions in the country’s maquiladora export industry. For more than three weeks, workers have mobilized to demand higher wages, an eight-hour workday and protections against increased quotas across the industrial centers of Port-au-Prince, Carrefour, Ounaminthe and Caracol. The strike follows the annual commemoration of International Workers’ Day. Currently, workers receive a daily wage of roughly 300 gourdes, or about 4.77 U.S. dollars (USD), for a day’s work. Strikers are demanding that the wage is raised to 800 gourdes, or 12.72 USD—and that the eight-hour day be respected. Workers face poor labor conditions in the country’s assembly-line factories, where they produce textiles for large U.S. companies such as Levi Jeans and Fruit of the Loom. Factory owners have long called for the use of violence against workers’ rights activists in Haiti and fired anyone known to associate with the unions. 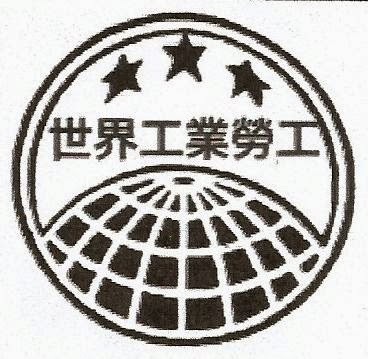 The workers are supported by a coalition of independent labor unions, SOTA-BO and PLASIT-BO, which represent textile workers. These unions are associated with the independent worker’s movement, Batay Ouvriye, or Workers’ Fight. “We cannot work with dignity for 300 gourdes per day,” said Didier Dominique, the spokesman for Batay Ouvriye, in an interview over the phone. Dominique points out that it is impossible for a family to survive on the low wages, in part due to the out of control inflation in the Caribbean country. "It's gotten to the point where I can't take care of my son. I don't see any future in this," said Esperancia Mernavil, a textile worker associated with the Gosttra union, told the Associated Press. 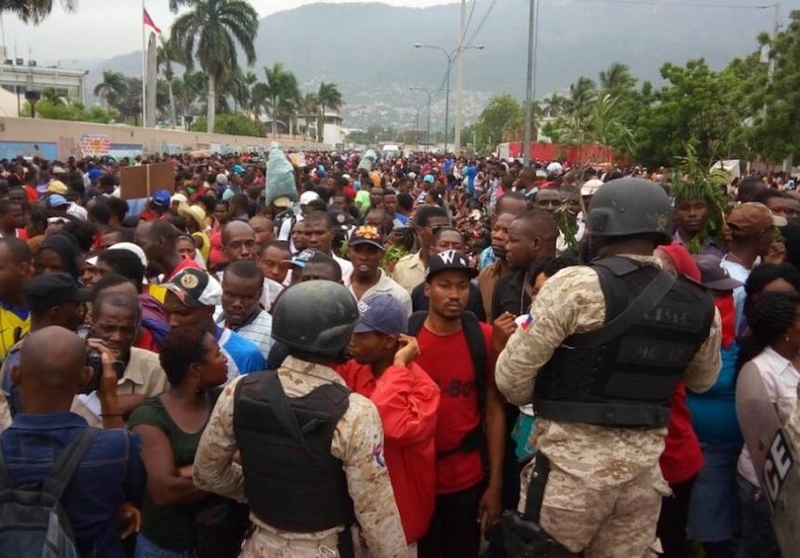 On May 19, strikers shut down dozens of factories and temporarily blocked the road to the Toussaint Louverture International airport in Port-au-Prince as part of their actions. They then marched in the direction of the Presidential Palace before they were met by riot police, who deployed tear gas against the workers. The Association of Industries of Haiti has denounced the strike, stating that the strikes are being led by isolated “militants and syndicalists.” They also levied accusations against strikers stating that they attacked the factories, as well as their fellow workers within, leading to the temporary closure of factories on May 19. The workers have maintained their willingness to continue the strike, but cracks in their mobilization are beginning to show. Haiti’s constant crisis of poverty makes it difficult for the strike to maintain momentum over the long run. But Batay Ouviye and the other unions are already planning their next actions in the event that the strike comes to an end. The current strike continues years of actions to demand an increase in wages and improved labor conditions for textile and factory workers. The first minimum wage was established in the 1980s, and it was raised again in 1995. Since then, the minimum wage has not kept up with inflation. In 2008, the Haitian parliament discussed raising the minimum wage in order to keep up with inflation. But these efforts were derailed by pressure from the United States, with the U.S. Embassy telling officials that any efforts to raise the minimum wage would hurt the economy and threaten trade agreements. Secret embassy cables exposed by Wikileaks in 2011 highlight the collusion between the United States and businesses to keep the minimum wage low. These revelations led The Nation Magazine and Haiti Liberte to conclude, "U.S. Embassy in Haiti worked closely with factory owners contracted by Levi’s, Hanes, and Fruit of the Loom to aggressively block a paltry minimum wage increase." Despite the pushback from the United States and companies, the Haitian Parliament successfully raised the minimum wage to roughly 5.11 U.S. dollars for an eight-hour workday in 2014. Yet, this raise does little to assist families that teeter on the poverty line.